With the release of Vladimir Horowitz playing Träumerei by Schumann, Steinway’s Spirio Library now offers the listener an opportunity to hear the over 1000 shadings and variations of dynamics which they could never realize outside a live performance. Here is the heart of the matter: no other piano can whisper like a Steinway. Many pianos play loud (not always pleasing toned, but capable of high volume). Only Steinway give you rapturous, riotous fortissimissimo with such a sweet tone, and yet render so many tone-colors in between its ‘thunder’ and its ‘rain-drops’. And it is that pianissississimo that Howowitz creates in Träumerei that reveals a truly amazing and faithful rendering of the Maestro’s singular sense of touch!! The Spirio has indeed replicated the Spirit of so many wonderful performances. Spirio’s high resolution playback system uses proprietary software to measure hammer velocity (up to 1020 dynamic levels at a rate of up to 800 samples per second) and proportional pedaling, for both the damper pedal and soft pedal (up to 256 pedal positions at a rate of up to 100 samples per second). Did I mention a Streaming and Continuously Growing Catalog is Free with a Spirio? A fantastic library of artist performances that is growing every month. So many compelling reasons for Players and Non-Player alike to own one! Please contact Michelle’s Piano and schedule an audition. You’ll thank me later . . .
A pianist of extraordinary sensitivity, intelligence, and breadth of dramatic expression, Jeffrey LaDeur makes his solo debut at Carnegie Hall with this recital commemorating the life and works of Claude Debussy on the centenary of his death. Inspired by Couperin and Chopin, Debussy’s Études of 1915 are the summation of the composer’s mature genius in writing for solo piano. The three composers are presented in musical dialogue, tracing the unbroken line of tradition through centuries of French music. 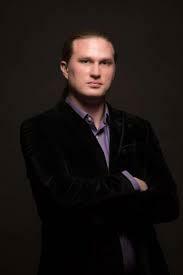 Sharing the stage with (his good friend) LaDeur—and celebrating his return to Portland audiences following his education at The Eastman School of Music (which began at age 15)—pianist and pedagogue, Johnandrew Slominski will perform a selection of Chopin Mazurkas and Barcarolle. 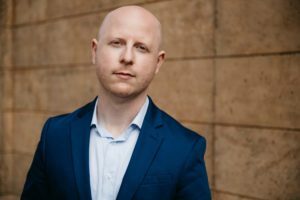 In 2017, Slominski joined the faculty of Linfield College as an artist-in-residence and music theorist. 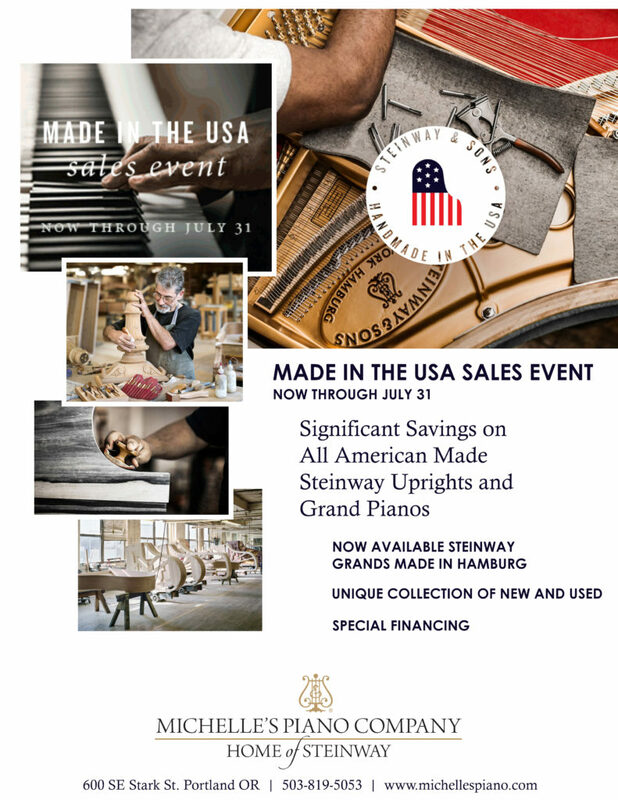 Steinway and Sons has been hand crafting Steinway pianos since 1853 in New York. The attention to detail and superb craftsmanship make Steinway one of the best piano manufacturer. Henry Steinway sought out to create the best piano possible. View more information about the unique history of Steinway and Sons Pianos. 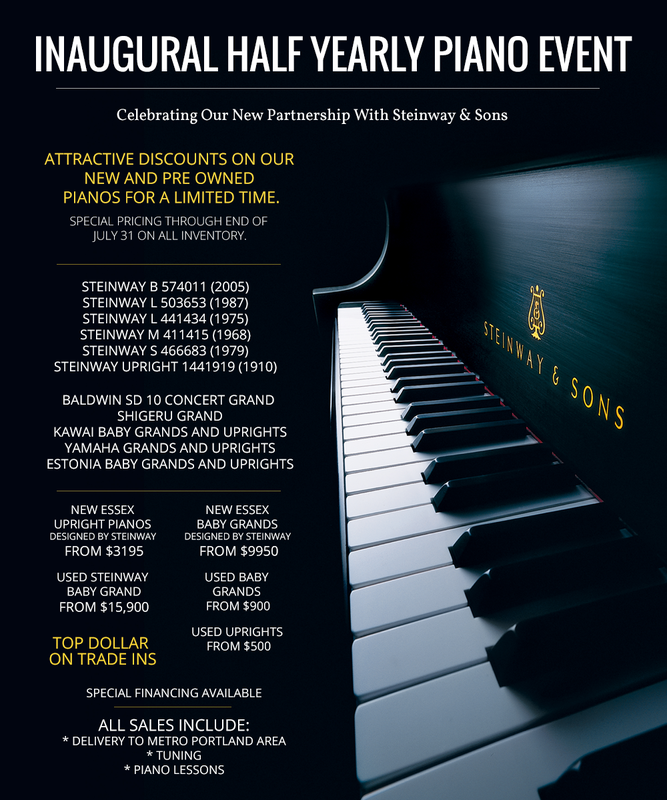 It’s technicians and their lengthy, specialized manufacturing process make Steinway pianos the best available.